Peerwith’s Manuscript Review Service provides expert help before you submit your manuscript to your desired publication. In the review experts advise if there are any changes you should make before you start the submission process and suggest journals which are a match for your paper. In this case study we look at a manuscript review service request we received from Tatiana, a Russian researcher. Tatiana’s Business & Management paper had been translated from Russian to English and she wanted expert help on whether the paper was good enough to be published in a reputable, international journal. Maybe we could advise if it needed language editing, for example. She also wanted advice on Scopus-indexed journals to submit her paper to. Joseph was clear he could not guarantee that the manuscript would be accepted for publication by any of the suggested journals, just that their scope was a suitable match. His report then continued to provide specific recommendations which Tatiana would need to work on to get her paper ready for submission. These included work on figures, footnotes and references, as well as a recommendation to post a further request on Peerwith for scientific editing services. He concluded by recommending 3 journal titles to submit the manuscript to, but only if the recommended work was carried out. Currently, Tatiana is working on preparing her manuscript for submission. This pre-submission review was invaluable for Tatiana, as an experienced expert was able to provide guidance on how suitable her manuscript was for publication and advise her on the steps needed for it to be suitable for submission to the Scopus-indexed journals she wishes to publish in. It’s important to note when reading this case study, pre-submission doesn’t eliminate the post-submission review process but it does help authors get an early and quick, go/no go decision. Interested? 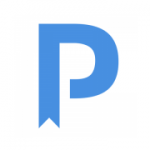 Get Peerwith’s Manuscript Review Service.